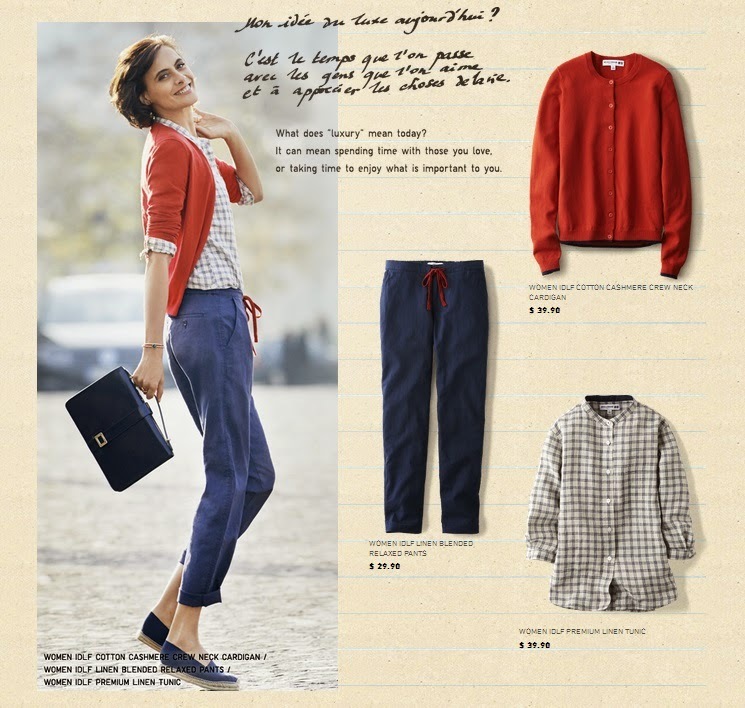 For Spring / Summer 2014 UNIQLO introduces a newest line in collaboration with Ines de la Fressange, fashion icon and true global ambassador of Parisian chic. Together, UNIQLO have created an ideal wardrobe with the lines that includes pieces and essentials that reflect a typical Parisian lady-style. The design process started by considering everything that can contribute to the enhancement of w woman's beauty according to Ines. Sleeve length, neckline, fitting - every detail was taken careful thought, to be able to create an ideal balance, and this was done through fitting sessions with Ines. The entire collection reflects Ines personal, universal style that is beyond gender, while delivering all the beauty and charm of a sophisticated woman. 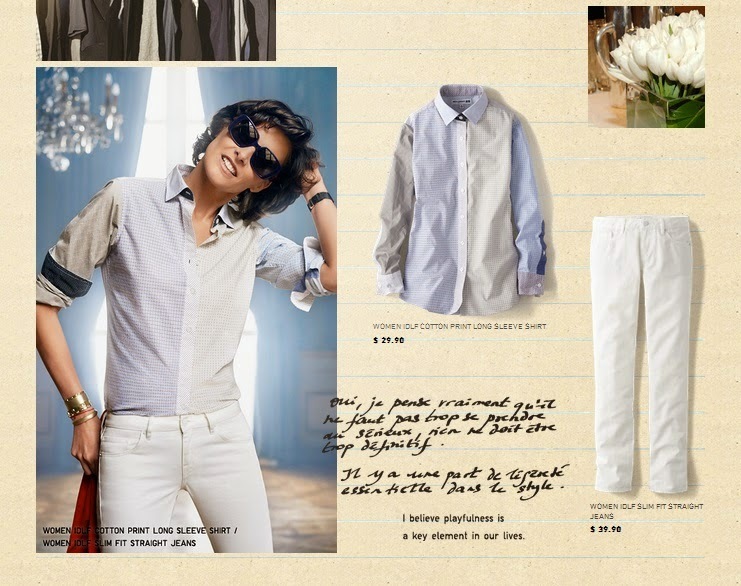 As seen by Ines, Parisian chic is an attitude, a style and a way of being elegant without borders. 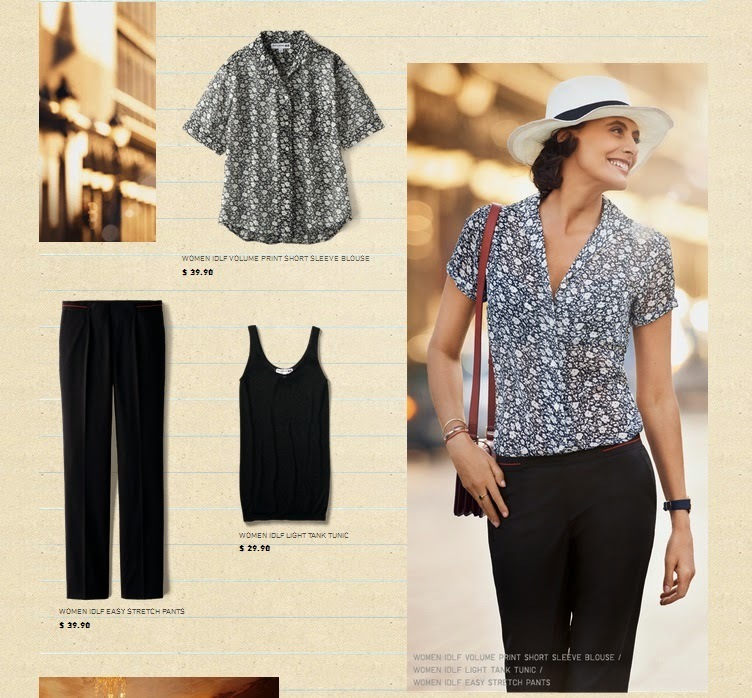 The INES DE LA FRESSANGE PARIS - UNIQLO COLLECTION bears the personal touch of Ines de la Fressange in terms of creativity and style, and that is reflected in the different pieces that compose the life of a woman. And always with a balance of taste, which allow for the pieces to be worn together in various combinations. A line inspired by traditional French work clothes, taking silhouettes from classical favourites, UNIQLO have added Ines' cheerfulness in many of the details such as the rounded collars of the floral motiffs hidden under the sleeves. Washed-out cotton brings a natural and relaxed feeling in earth tones such as khaki or beige. A clean and contemporary line inspired by blue, white and red, the French tricolor, to make you feel just like a real Parisian. Classic favourites like polo shirts, Oxford shirts, chino pants and jeans, were given a Parisian twist through Ines' own vision. 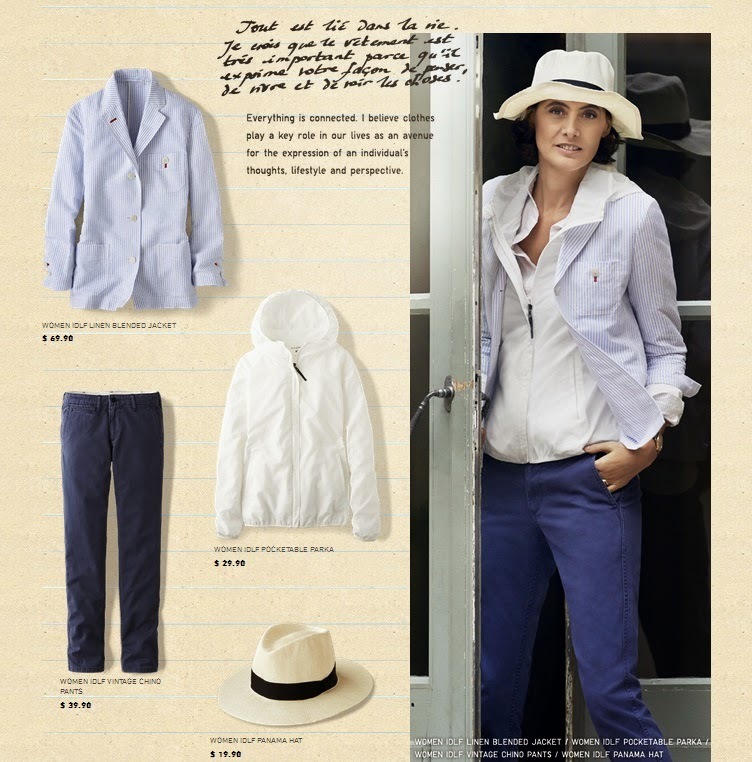 Jackets and dresses made with French linen complete the collection for early summer. Women from Paris consider black as an essential color to express the French chic style. With dresses cut in beautiful draped fabrics, knitwear displaying an elegant and sensous see-through effect, and chiffon blouses with exceptional softness, this line offers pieces to create an authentic Parisian look in a flash. One can also wear down these pieces casually to express another authentic style of Parisian chic. Maintaining your energy within a positive mindset, but without compromising your personal style. This is the perfect lineup of items to help you relax at home, either for practising yoga or doing workouts. These pieces deliver a flattering silhouette in sophisticated shades of dark green or beige, with soft touch fabrics and quick-drying properties. In short, they are pieces for you to enjoy a Parisian chic with the ultimate comfort. The UNIQLO Ines de la Fressange Collection is available in SM Aura, SM Mall of Asia, SM North EDSA and the comprehensive lineup exclusive in SM Megamall. Meanwhile here are some of our photos during the VIP Shopping Experienced brought to us by UNIQLO Philippines during their opening launch at SM Mega Fashion Hall. It was a very fun experience - thanks to the PR/Marketing Team of UNIQLO Philippines! The simplicity of the designs and prints shows a woman's personality and attitude. ... and here are the pieces I love! I've tried this dress in medium size, but looks bigger on me, so I've purchased the smaller size.